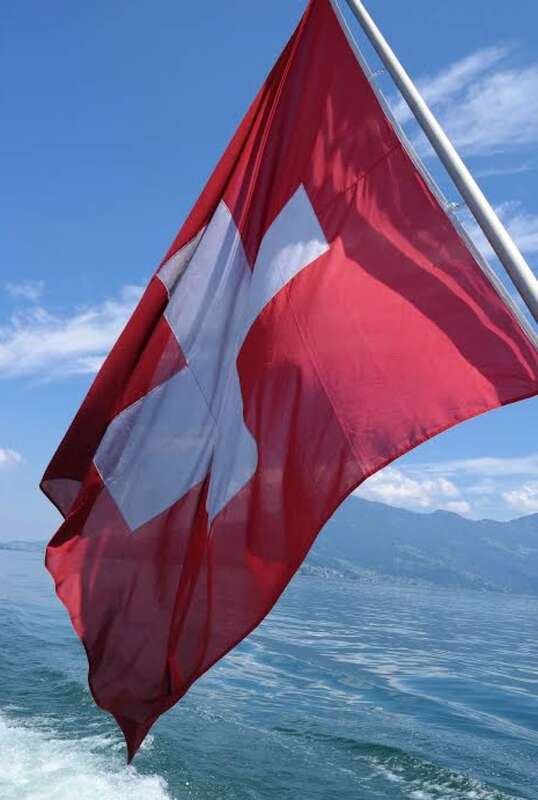 A Canadian woman, living and working in Switzerland with her husband, has been told by Elections Canada that the couple can't vote in future federal elections, despite a stipulation which exempts them from a five-year voting rule. Tatiana Warkentin and her husband, John, work for the Universal Postal Union (UPU) in Bern, a specialized agency of the United Nations that coordinates policies for the worldwide postal system. 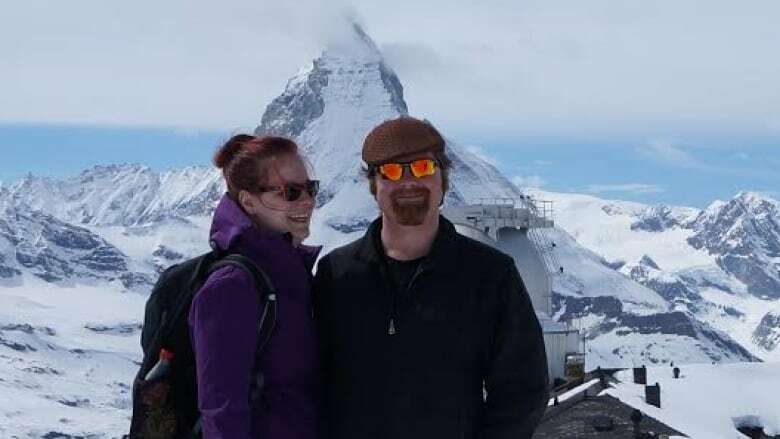 "We decide kind of how the post functions," Warkentin told CBC News Monday from her home near Bern, where the couple have lived for the last four years. Born in Winnipeg, she called Newfoundland home for a couple of years before moving west and attending university. Warkentin's parents still live in St. John's. She and her husband lived in Manitoba during the last federal election. "We voted in Winnipeg Centre which is actually the riding we're voting in now again because the rules are that you vote in the last riding that you lived in," she said. "We haven't actually voted in a Canadian election yet [while abroad] and, on top of that, we're not allowed to vote in Switzerland because we're not Swiss." Shortly after she and her husband registered online to vote in the upcoming Canadian federal election, the Supreme Court of Ontario ruled that expats living outside the country for more than five years are no longer eligible to vote. Warkentin recently received an email from Elections Canada stating that, while she is registered to vote in the upcoming election this fall, she will not be permitted to vote in future elections. But, based on the exceptions outlined on the Elections Canada website, Warkentin said she and her husband should be exempted from the five-year rule. "It says if you're employed by an international organization of which Canada is a member and to which Canada contributes you're exempt — so [we should] be able to vote in the next election." According to its website, the UPU is the second oldest international organization, dating back to 1874. Canada has been a member country since 1878 — 67 years before Canada became one of the founding members of the United Nations. When Warkentin called Elections Canada for clarification, however, she was told the UPU wasn't on its list of exempted organizations. Warkentin said she asked Elections Canada for the list of approved organizations, but was told it isn't accessible to the public. "He's like, 'Oh you're not on the list so I'm afraid you would not be exempt and I'm like, but this is an international organization. How is this list created, how do you get on the list, how do they decide the list?' That's at which point he put me on hold to talk with his supervisor." 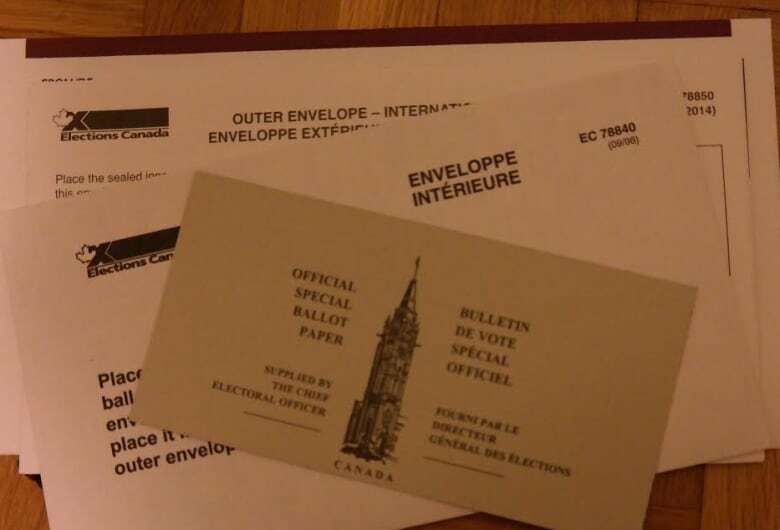 Warkentin and Hammell received their voting packages in the mail this week, but were told they won't be able to vote in upcoming federal elections unless they move home. (Submitted)All Elections Canada could offer, she said, was that the list is determined by the federal government. "I asked him, 'Well, what do I do' and he's like, 'Well, you might want to come home to Canada for a little while when we have another election.'" Warkentin said she was shocked at the representative's response, that she should be expected to quit her job and move home in order to gain the right to vote. "What about all the Canadians I know who I work with who are passed the five-year rule, and should be exempt but apparently were not?" Warkentin said she's sent messages to Elections Canada via email, Facebook and Twitter but all have gone unanswered, with the exception of an automated message referring her to a 1-800 number. ​Warkentin's paternal grandfather immigrated to Canada from Russia. She said, for her family, voting is an important responsibility. "He grew up during the revolution in Russia where voting wasn't a thing, so for him voting was such a huge deal and so important," she said. Warkentin said she and her husband still feel very Canadian. "I just renewed my Canadian passport, I filed my Canadian taxes. Even though we didn't actually pay any taxes, we still filed them so we don't have a gap in our Canadian tax history," she said. "My husband and I try to go home as often as we're able to ... For us, voting is a huge deal and it's just really, really sad." Warkentin said she wants answers as to why she and her husband don't qualify to vote. She also wants a say in policies concerning travel bans and bills concerning people with passports — Warkentin also has a German passport — both of which the Conservative government has proposed. "More than anything, I'm just really angry by the Ontario Supreme Court deciding that they can take away my right to vote." A representative from Elections Canada told CBC News that while the United Postal Union is not on its list of exempted organizations, it's working with the Department of Foreign Affairs, Trade and Development to update the list over the next few days.